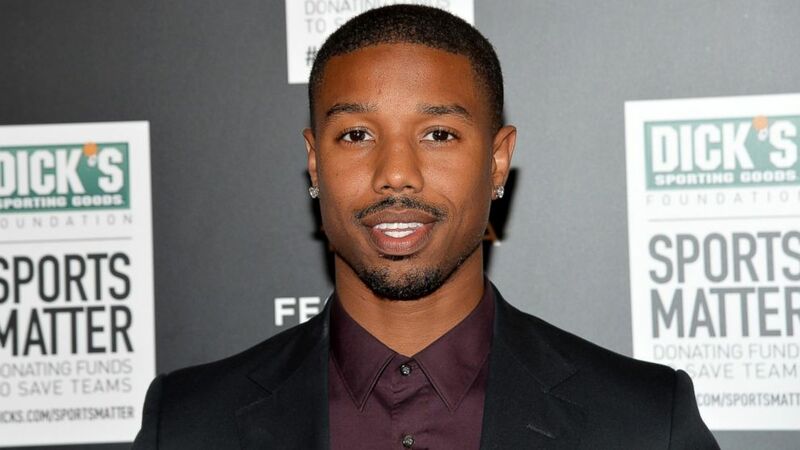 Michael B. Jordan spoke to ABC after a documentary premiere for “We Could Be King”. The documentary highlights the football season of two rival Philadelphia high schools that had to merge football teams because of funding. The Fantastic Four is due to start shooting in May and is set for release in theaters next summer. Sports: The 2-Year Anniversary of the #WatShot! It was my wife’s birthday and I promised her dinner that night even though IU was playing. I told her that I didn’t think they would win but at least it would be fun to watch them play #1. So as she dragged me away from the TV to leave I saw a glimpse that this team was sticking with the ‘cats a bit to start but I thought, “no way it could continue”. However, I did notice that Terence Jones was playing well and Anthony Davis had gotten into early foul trouble. “I love my wife more” is what I kept telling myself. So we head to dinner and my wife allows me to keep my phone out for updates. Tonight is her night!! I can’t remember what I ate other than it was a fancy pizza of some kind. I kept hitting refresh on my phone but it wasn’t an iPhone so the display was rudimentary. I would see streak across the screen of shots being taken and the score changing. Finally it came down to the last few seconds of the game. The score was very close and they seemed to be changing leads after IU had gotten up a little. The gravity of the game was lost to me as I watched the streaks on my phone. But then it was about 5 seconds left when I noticed that UK had a few free throws to possibly put the game away. Then my phone kind of goes nuts. Silent for a minute and then another, final streak. The basket was good and the game had reached the “end of regulation”. Did that mean they missed the final shot? Did that mean overtime? Had they made it? One final refresh and it said that the Hoosiers had won! I looked at my phone. Then at my wife. Then around the restaurant to make sure no one else had a better phone. I told my wife Happy Birthday and said they won, I think. We left the restaurant to head to another spots for drinks with her friends. Once in the other bar, only then did the significance of that ending hit. I had missed one of the greatest (if not THE greatest) IU games In history that did not result in a national championship. All for my wife…. Yes, we are still married but the refrain from her friends that showed up of “you didn’t watch it live?” Still makes me consider divorce today! I was left to watch the sportscenter and YouTube highlights that night. However, it made the game and the reaction no less palpable. It was a great college game with a bunch of pros playing. Including several top 10 NBA draft picks. It was a watershed moment for IU BASKETBALL and signaled the end of a college basketball tradition, as Kentucky has now shied away from the home at home with an improved Indiana program. It was also a point (I believe) when ESPN figured out that college basketball could draw folks to the TV again. So where was I that night? Seems like I was in the perfect place. This is great. Don’t know if anyone watches Parks and Rec but it’s an awesome show set in Fictional Indiana. The guy who produces the show: Mike Schur is one of the founding members of Fire Joe Morgan and used write as Ken Tremendous. He always throws in great Indiana sports cameos into the show and usually puts a few baseball metric allusions into names of stores or firms. He is also famous for criticizing commentators for extolling on the “grittiness” factor of players when their actual quantifiable value is nil. Players like David Eckstein. In a recent episode he named a firm after Eckstein. Don’t know if it is directly for Parks and Rec but it was on MLB fan cave page. At least Eckstein is in on the joke. Best things I saw last night on the League. Bubby Brister: 20 Concussions, Zero Regrets | Only A Game. Here is a conversation with one of the beloved backups from the last 20 years. Bubby Brister played from 1986-2001 and is a 2-time champion with the Denver Broncos. He does not regret his career, but believes that the players have been given the help that so many need now after the settlement. Keith Olbermann has now also given two consecutive screeds on his new excellent show about sports, culture, and us. Olbermann drives home the real story of this settlement and need for the players to get help. Olbermann is better than everyone else. I don’t know how you can dislike this guy. Greg Oden proves to be an affable, funny, smart, and thoughtful guy who loves playing baseball. As Greg Oden sat in St. Vincent Sports Performance on Saturday afternoon, the smile on his face was a little bit older then those around Indianapolis may seem used too. It seems like it was not long ago the pride of Lawrence North High School, the one that led the Wildcats to three consecutive IHSAA Class 4A State championships, was the number-one pick in the 2006 NBA Draft for the Portland Trailblazers. However, it does feel like too long ago that we saw Oden playing and healthy on the court, with his last game in the NBA taking place on Dec. 5th, 2009. A fractured left patella, micro-fracture surgery on his left knee, arthroscopic surgery on his right knee, and a third micro-fracture surgery later, Greg Oden’s smile has aged over time. With that said, perhaps Oden’s smile hasn’t ever been any bigger.